Master Mike Adams, founder and President of Dynamic Martial Arts, is one of the most respected (and one of the most senior) WingTsun instructors in America today. Sifu Adams is a direct student (a To-Dai, or “Kung Fu son”) of Great Grandmaster Leung Ting. He began his training in Texas in 1980 during the Grandmaster’s first trip to Texas from Hong Kong. Sifu Adams has been teaching WingTsun professionally in Illinois since 1988, and is the father of WingTsun in the Midwest. 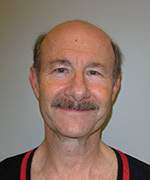 A founding member of the International WingTsun Association – North American Section (IWTA-NAS), Sifu Adams serves on the Board of Directors as the Financial Manager. He was promoted to 5th Level Practician (Master) by Great Grandmaster Leung Ting in March 2011, and is one of only three Leung Ting WingTsun masters in North America today. Sifu Brian Carter is a long-time student of Sifu Mike Adams, and a certified instructor. 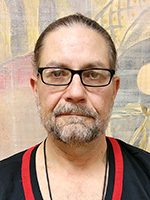 Sifu Carter is a 3rd Level Technician in WingTsun and he teaches at our Lisle, Illinois school in the Chicago suburbs. Sifu Guerman Atanassov is a long-time student of Sifu Mike Adams. Sifu Atanassov began his WingTsun training in his home country of Bulgaria with Sifu Stanislav Bagalev. He is a 4th Level Technician in WingTsun and he teaches at Wing Tsun Illinois (an affiliated school of Dynamic Martial Arts) in Glenview, Illinois in the Chicago suburbs. Sifu Ben Stevens is a long-time student of Sifu Mike Adams, and a certified instructor. Sifu Stevens is a 3rd Level Technician in WingTsun and he teaches at our Bloomington, Illinois school, Dynamic Martial Arts of Bloomington-Normal. 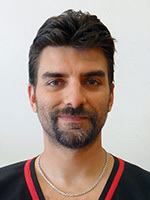 Sifu Claudio Mascarenhas is a student of Sifu Mike Adams and a certified instructor. He is a 2nd level Technician in WingTsun and teaches at Wing Tsun Kuen US in New York City (an affiliated school of Dynamic Martial Arts). He is the only authorized Leung Ting WingTsun® instructor in New York City and is also the Headman for Leung Ting WingTsun in Brazil. 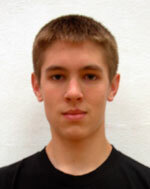 Sifu Hunter Watts is a student of Sifu Mike Adams, and a certified instructor. 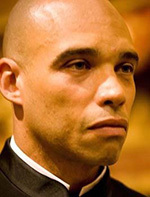 Sifu Watts is a 3rd Level Technician in WingTsun and he teaches at our Bloomington, Illinois school and at the Redbird WingTsun club at Illinois State University (ISU) in Normal, Illinois. Following in the tradition of his older brother, Taylor, his hard work and dedication have made him one of the youngest instructors ever promoted at Dynamic Martial Arts. 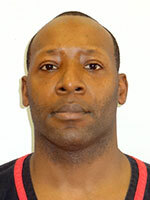 Sifu Darrell Taylor is a student of Sifu Mike Adams, and a certified instructor. Sifu Taylor is a 2nd Level Technician. He teaches at our Peoria, Illinois school, Authentic WingTsun of Peoria, and our Bloomington, Illinois school, Dynamic Martial Arts of Bloomington-Normal. Sifu Taylor also spent 14 years in the U.S. Marines and is a veteran of Operation Desert Storm. Sifu Eric Galicia is a certified instructor and a Second Level Technician in WingTsun. Beginning martial arts in the Air Force, he trained in Judo, Ju-Jitsu, Kook Sool Won, and Aikido and achieved a black belt in Tae Kwon Do. But rough housing with fellow service members, he still consistently lost to those bigger and stronger… until he began learning WingTsun in Germany. Impressed in the first class by WingTsun’s simple attacks and devastating stopping power, he was soon applying his new skills successfully in sparring. 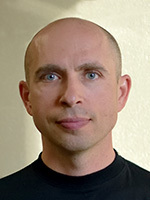 Currently living in Livermore, California (where he is also a physicist at Lawrence Livermore National Laboratory), Sifu Galicia trains under Sifu Guerman Atanassov and teaches with his wife, Sifu Ana Genkova, at their school in Livermore, California, Wing Tsun California (an affiliated school of Dynamic Martial Arts). He uses intelligent training methods and a principle-based, scientific approach to teach realistic fighting skills. But he also believes Wing Tsun fits those who want to improve their lives physically and spiritually. Besides teaching, Sifu Galicia also loves to choreograph fight scenes and produce independent films. 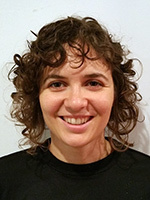 Sifu Ana Genkova is a Second Level Technician and a certified instructor. She began training in WingTsun while in college, and is a student of Sifu Guerman Atanassov. She also trains with her husband, Sifu Eric Galicia. And when visiting her family in Bulgaria, Sifu Genkova also trains with Sifu Stanislav Bagalev. Sifu Genkova teaches with her husband, Sifu Eric Galicia, at their school in Livermore, California, Wing Tsun California (an affiliated school of Dynamic Martial Arts). Sihing Sam Shary is a long-time student of Sifu Mike Adams. Sihing Shary teaches at our school in Fairfield, Iowa. Sihing Damian Rickert is a student of Sifu Mike Adams. He has over 18 years of training in a wide variety of martial arts. In addition to being a certified assistant instructor of WingTsun and Primary Level Technician, Sihing Rickert is also a 4th Degree Black Belt in Tae Kwon Do and was a martial arts instructor in the U.S. Marines. He teaches at our Bloomington, Illinois school. 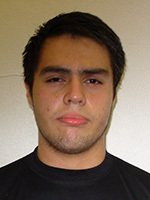 Sihing Diego Arreola is a student of Sifu Mike Adams. He is a Primary Level Technician and a certified instructor. Although you might not guess from his photo, he actually smiles quite a bit! Everyone was sorry when Sihing Arreola moved away due to his job in the summer of 2012, but now he is back! And hopefully for some time, to take college classes as well as to teach and train at Dynamic Martial Arts of Bloomington-Normal, Illinois. Sihing Sunghun Cho started in WingTsun as a student of Sifu Eric Galicia in Des Plaines, Illinois. Since Sifu Eric moved to California, he has continued his WingTsun training with Sifu Guerman Atanassov. Sihing Sunghun Cho is a Primary Level Technician and a certified instructor. He teaches at Wing Tsun Illinois, an affiliated school of Dynamic Martial Arts in Glenview, Illinois in the Chicago suburbs. In addition to WingTsun, he has also trained in Taekwondo, Kendo, Jiu Jitsu, Muay Thai, and Boxing. 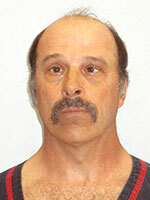 Sihing Jim Accetta is a student of Sifu Guerman Atanassov and a certified instructor. He is a Primary Level Technician and teaches at Wing Tsun Illinois, an affiliated school of Dynamic Martial Arts in Glenview, Illinois in the Chicago suburbs. In addition to WingTsun, Sihing Accetta has also trained in Tae Kwon Do, Shaolin Kung Fu, Combat/Mixed Martial Arts, Brazilian Ju Jitsu, and Iron Palm Kung Fu. He also served in the U.S. Marines. 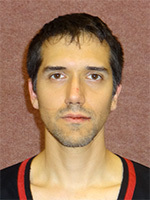 Sihing Evgeny Kolev is a student of Sifu Guerman Atanassov and a certified instructor. He is a Primary Level Technician and teaches at Wing Tsun Illinois, an affiliated school of Dynamic Martial Arts in Glenview, Illinois in the Chicago suburbs. In addition to WingTsun, Sihing Kolev has also trained in Southern Shaolin Kung Fu, Taijiquan, Baguazhang and Xing Yi Quan. Since beginning WingTsun with Sifu Atanassov, Sihing Kolev has also had the pleasure of attending three European Wing Tsun Organization (EWTO) seminars in Bulgaria, traveling to the International WingTsun Association (IWTA) Headquarters in Hong Kong to meet Great Grandmaster Leung Ting and his senior instructors, and visiting Sifu Jung Soo Park’s WingTsun school in South Korea. Sije Devin Morrice started in WingTsun as a student of Sifu Eric Galicia in Des Plaines, Illinois. After Sifu Galicia moved to California, she continued her WingTsun training with Sifu Guerman Atanassov and became a certified instructor. 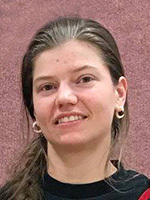 She is a Primary Level Technician and teaches at Wing Tsun Illinois, an affiliated school of Dynamic Martial Arts in Glenview, Illinois in the Chicago suburbs. 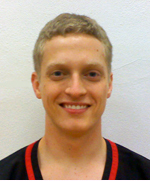 In addition to WingTsun, Sije Morrice has also practiced Taekwondo and Korean Gumdo. Sihing Adam Patt started in WingTsun Kung Fu as a student of Sifu Eric Galicia in Des Plaines, Illinois. After Sifu Galicia moved to California, Sihing Patt continued his WingTsun training with Sifu Guerman Atanassov and became a certified instructor. Sihing Patt is a Primary Level Technician and teaches WingTsun at the Palatine Wing Tsun Kung Fu Academy (an affiliated school of Wing Tsun Illinois and Dynamic Martial Arts) in Hoffman Estates, Illinois (in the Chicago suburbs) along with Sihing Jonathan Fox. Sihing Patt has also had the opportunity to study WingTsun with American WingTsun Masters (Master Mike Adams and Master Will Parker) as well as at the International WingTsun Association (IWTA) Headquarters in Hong Kong with Great Grandmaster Leung Ting and with Master Robin Tsang. In addition to WingTsun, Sihing Patt has also trained in Tae Kwon Do and actively pursued other passions such as music, cycling, soccer, and gymnastics. Sihing Jonathan Fox is a student of Sifu Guerman Atanassov, training with Sifu Atanassov for almost 600 classes, including private lessons, totaling more than 1400 hours of training. He is a Primary Level Technician and certified instructor. Sihing Fox has also attended seminars and “black shirt” instructor training classes with Master Mike Adams, Master Will Parker, and Great Grandmaster Leung Ting. In 2015, Jonathan trained for 4 days at the International WingTsun Association headquarters in Hong Kong, attending day-long classes taught by Master Robin Tsang as well as Great Grandmaster Leung Ting. In addition to his training in Leung Ting WingTsun®, Sihing Fox also trained privately for 2 years in Chuan Fa Kung Fu. In November 2018, Sihing Fox opened the Palatine Wing Tsun Kung Fu Academy (an affiliated school of Wing Tsun Illinois and Dynamic Martial Arts) in Hoffman Estates, Illinois, a suburb of Chicago. At the Palatine Wing Tsun Kung Fu Academy, Sihing Fox teaches WingTsun classes along with Sihing Adam Patt. 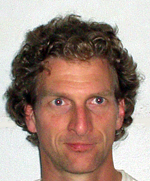 Sihing Brad Walker is a student of Sifu Brian Carter, and a certified assistant instructor. He teaches at our school in Lisle, Illinois, a suburb of Chicago. 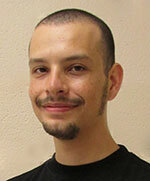 Sifu Adam VanderWaal is a long-time student of Sifu Mike Adams, and a certified instructor. Sifu VanderWaal is a 2nd Level Technician in WingTsun as well as a doctor currently practicing medicine in Asheville, North Carolina. You might see him stop by our Bloomington, Illinois school when he is in town visiting family. 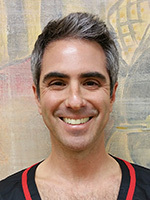 Sifu Derek Swirsky is a student of Sifu Brian Carter, and a certified instructor. He is a Second Level Technician in WingTsun and he teaches at our school in Lisle, Illinois, a suburb of Chicago. Sihing Dindo Dawis is a long-time student of Sifu Mike Adams and Sifu Brian Carter and a certified assistant instructor of WingTsun. Currently living in Wisconsin, you will occasionally see him training and assisting with teaching at our school in Lisle, Illinois when he is in the Chicago suburbs. 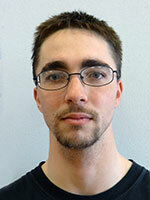 Sihing Sam Brucker is a student of Sifu Mike Adams, and a certified instructor and Primary Level Technician. After returning from travels in Indonesia and India, Sihing Brucker has been on a bit of a hiatus for work. But he hopes to be back at Dynamic Martial Arts of Bloomington-Normal soon! 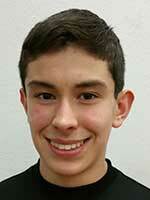 Sihing Noe Cornejo is a student of Sifu Mike Adams and a certified assistant instructor. Sihing Noe has been training in WingTsun since he was 8 years old in 2006. Through hard work and dedication, he became the first student from the Bloomington, Illinois school’s kids class to be promoted to assistant instructor while still in the kids class, and the youngest person ever promoted to this level by Sifu Mike Adams (though a couple others were close). 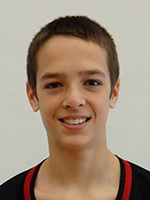 Sihing Cornejo is currently attending classes in college out of town. 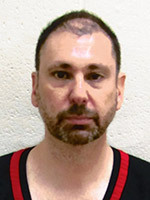 But you might see him during school breaks training and assisting with teaching the kids and adult classes at Dynamic Martial Arts of Bloomington-Normal. 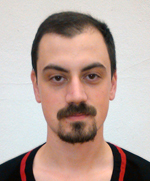 Sije Victoria is a student of Sifu Guerman Atanassov and a certified instructor. A trial summertime class turned into a lifetime journey and passion for Victoria. Today she is a Primary Level Technician. When she can get away from work, you may see her stopping by classes at Wing Tsun Illinois, an affiliated school of Dynamic Martial Arts in Glenview, Illinois in the Chicago suburbs. 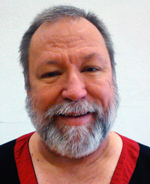 Sihing Len Coppedge is a student of Sifu Brian Carter, and a certified instructor. 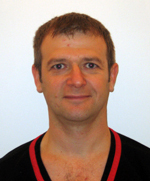 He is a Primary Level Technician in WingTsun and he teaches at our school in Lisle, Illinois, a suburb of Chicago. Sihing John Schmidtgall is a student of Sifu Mike Adams, and a certified instructor. He is a Primary Level Technician and he teaches at our Bloomington, Illinois school. Though Sihing John has been out for a while working outside the area, you might see him stopping by classes in Bloomington when he gets back through town. 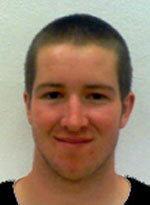 Sihing Taylor Watts is a long-time student of Sifu Mike Adams, and a certified instructor. 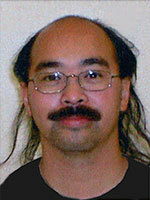 Sihing Watts is a Primary Level Technician in WingTsun. 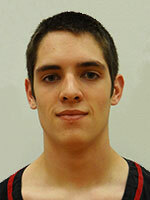 Having recently completed an engineering degree, he is currently working as an engineer in Champaign-Urbana. But you may still see him pop in from time to time at our Bloomington, Illinois school. 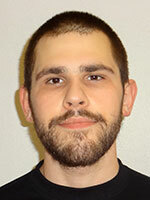 Sihing Marcus Bellone is a long-time student of Sifu Mike Adams, and a certified instructor. 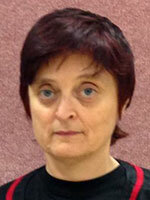 Sihing Bellone is a Primary Level Technician in WingTsun. After graduating from college, he returned home to Rockford, Illinois prior to joining the National Guard. In addition to being a certified instructor of WingTsun, Sihing Bellone is also a fitness trainer and a combat medic. You may still see him stick his head in at our Bloomington, Illinois school occasionally, when he’s not disappearing into a hail of bullets to save someone’s life! Sihing Garrett Watts is a student of Sifu Mike Adams, and a certified instructor. 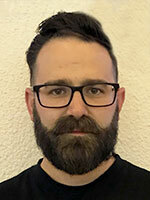 Sihing Watts is a Primary Level Technician in WingTsun and he occasionally teaches at our Bloomington, Illinois school, although he is currently away attending college. Following in the tradition of his older brother, Taylor, his hard work and dedication have made him one of the youngest instructors ever promoted at Dynamic Martial Arts. Continue the Dynamic Martial Arts Tour to learn more about Dynamic Martial Arts’ schools and WingTsun Kung Fu classes and how you can learn authentic WingTsun Kung Fu… or try a free martial arts class at any of our locations in Illinois or Iowa.